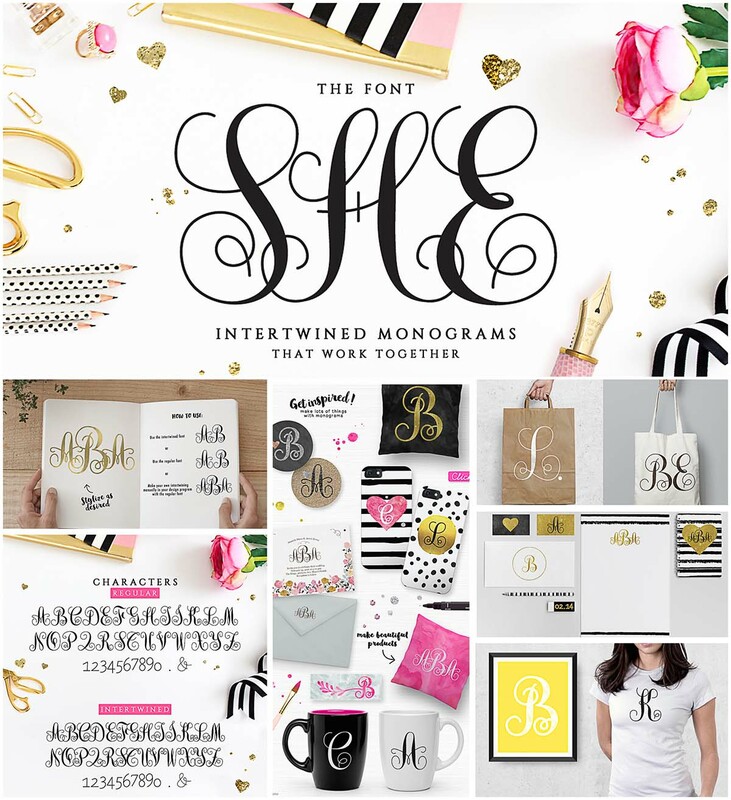 Introducing Monogram She beautiful intertwined monogram font. Each letter has being drawn with the purpose of making them join each other. Looks great in personalized products such as cards, mugs, shirts, cell phone cases, stationary etc. File format: .ttf, .otf for Photoshop or other similar software. Tags: Elegant, intertwined, monogram, script, swirls, wedding.